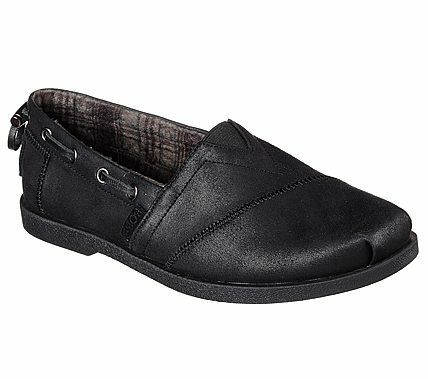 Smart versatile style and warm comfort come in the SKECHERS Bobs Chill Luxe - Buttoned Up shoe. Smooth faux leather upper in a slip on casual alpargata flat with stitching accents and cinch collar. Memory Foam insole.